Highly trained protection dogs from Wayne Simanovich can be the perfect security option and crime deterrent to protect you and your loved ones. That’s why it’s so important that you have a reliable way to keep your yourself, your family, or your business safe at all times. A trained protection dog from Wayne Simanovich can be delivered right to your Texas door, and we will work with you to deliver the perfect dog, not just any dog. The Simanovich team places highly-trained protection canines with families all across the United States. 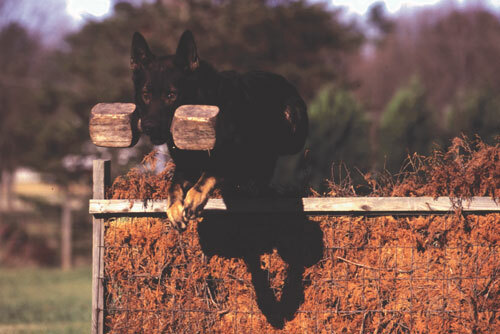 All of our dogs are carefully selected from the top bloodlines in Germany and the Czech Republic, and we train each German Shepherd to the highest international standards, ensuring they are ready to handle real-life scenarios and the day-to-day dynamics of your household. We offer personal protection dog delivery to Texas and all across the United States. In fact, the majority of our inquiries about protection dogs and our services come from The Lone Star state. To ensure a smooth transition for the protection dog into your home, one of our experienced handlers will personally deliver your new dog and train you and your family over the course of a couple of days on proper handling. If you’re looking for the best protection dogs in Texas, choose Simanovich Protection Dogs! We have many satisfied Texas customers.